Cape Town - Despite leading the league after a brilliant start to the season, "fans" of Kaizer Chiefs are turning on their team. The goals have seemingly dried up as Kaizer Chiefs go in search of their 12th PSL title and their first since the 2012/13 season. In recent matches, Stuart Baxter's side has struggled to a dull Soweto Derby draw, a loss away ay Maritzburg United and a home defeat to Raja Casablanca, albeit in the CAF Champions league. These performances have fans worried about their side's form in the business end of the season. @kaizer_chiefs are you guys going to let us down again tonight?#disapointed. Chiefs maintain an 8 point lead over defending champions, Mamelodi Sundowns, who have a game in hand over the Glamour Boys. Ahead of the match against Moroka Swallows on Wednesday, coach Stuart Baxter is focusing on his club's concerns and not the plight of his manager-less opponents. 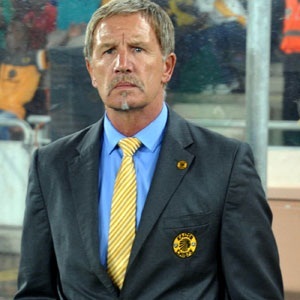 “We will put aside everything and focus on the match,” Baxter told Kaizer Chiefs website. Soweto rivals Moroka Swallows and Kaizer Chiefs meet in a top vs bottom PSL clash at the Dobsonville Stadium. Kick-off is set for 19:30.